TME’s offer includes a wide range of single fuses, as well as readymade fuse sets. 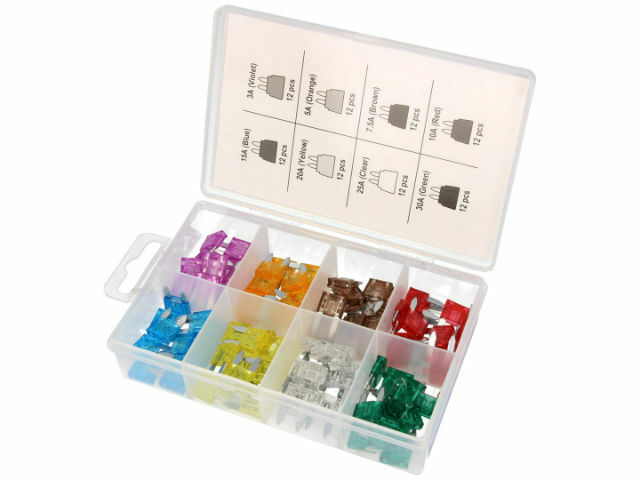 The PROFFUSE PF-MINI-SET set of automotive fuses comprises 96 pcs. of fuses for eight different rated current values within the range of 3 to 30A, and rated voltage of 32V. Various package colours, depending on the rated current, help in avoiding application errors, and the plastic organizer facilitates storing.